Doing laundry is a chore that I must squeeze in amongst other chores while working full time outside the house. I like to make my laundering experience as pleasureable as possible using products with lots of scent so it is more enjoyable to me when hanging, folding, and putting away clothes. 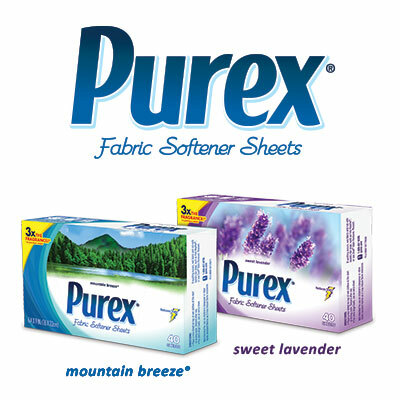 Imagine my delight when Purex recently sent me a box of their Mountain Breeze scented fabric softener sheets to try. They state their latest dryer sheets "do more than just leave your family's laundry soft and smelling fresh, they also reduce static cling and repel pet hair and lint." They also have three times the fragrance compared to previous sheets! I immediately put these claims to the test! I have a short-haired cat and I do see some cat hair on my clothes from time to time after laundering. After finishing multiple loads of clothes, I saw virtually no cat hair! And, let me tell you that Purex's claim about three times the fragrance is true! My clothes, towels, and sheets smell so good! I can't wait to try the Sweet Lavender scent, too! I can honestly say that I have enjoyed doing laundry a lot more lately with the addition of my Purex Fabric Softener Dryer Sheets, and I'm pleased to be able to offer two readers a coupon to try a free box of their own! To enter, please use the Rafflecopter form below, and good luck! Disclosure: Purex provided me with a sample of Purex Fabric Softener Dryer Sheets in exchange for a product review. However, all the opinions expressed here are my own. I have not tried the sheets but Id like to:) The lavender would be my fav. no i have not and lavender sounds great! I have and we love Lavender it smells so good. I have tried purex detergent but not fabric softener. I think it's time for me to try it. I recently started using their detergent and we all love it. Can not wait to try the dryer sheets. I've never tried them, but I did check out the scents when I was in the store last week. I'd love to try the Mountain Breeze scent! I haven't but I'd love to try the sweet lavender scent. I have not tried Purex dryer sheets yet. I would use the mountain breeze, thats the scent of my soap. I have been using fabric softener sheets in the dryer lately. Would love to look for Purex brand too. I love Purex products, I will check this out in our local store. I haven't tried them but I would like to try the lavender scent. Its my favorite fragrance. I wish to try this purex, sounds that it has a good smell that i might like. Not yet but either one would be awesome! Yes, I've tried mountain breeze. 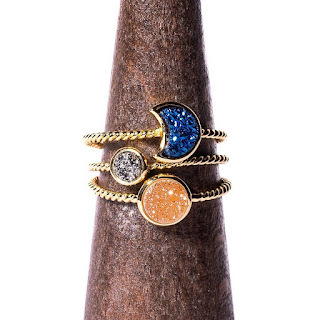 I haven't tried them yet because I just found out about them and I am finishing up the brand I have. But I do want to try them in Mountain Breeze scent.